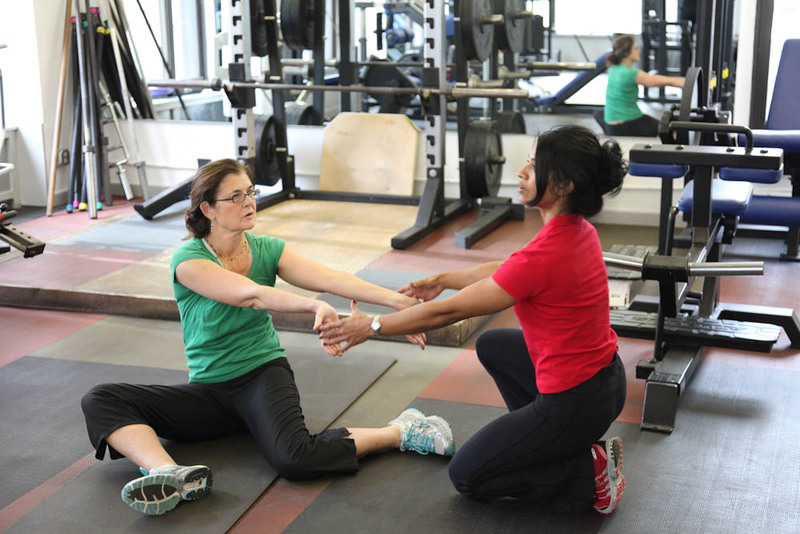 Working with Bindu has had a tremendous impact on my strength, confidence and fitness level. She has helped me to gain strength and improve flexibility after cancer treatment, and has helped me to stay on track with nutrition and lifestyle changes as well. I am grateful to have such an attentive, caring and professional trainer. She is simply the best. I have worked with Bindu now for over 3 years and she has become an indispensable and integral part of my life and well being. 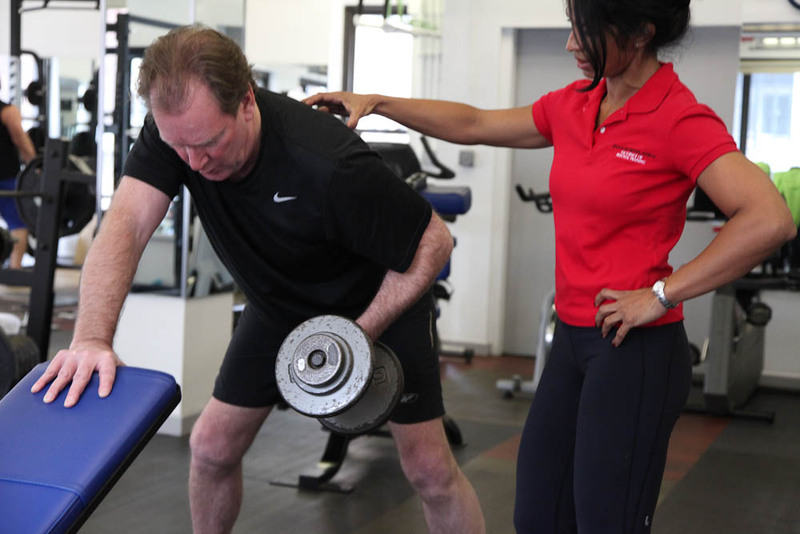 Whether focused on general weight training or helping me with rehabilitation after injury or surgery, Bindu has demonstrated her expertise, has always been prepared and has obviously put a lot of thought into my training. She is a delight to work with. I could not recommend her more highly. Bindu is a terrific trainer. She is focused and professional, and very personable. I didn’t think working out could be fun, but she makes it something to look forward to. She creates challenging and creative workouts, custom-tailored to my evolving needs and goals. One of my luckiest days was when I starting working with Bindu, over seven years ago. I was never “athletic” and had been with trainers who pushed too hard and others who didn’t push enough; by the time I met Bindu, I was sure that the most a trainer could give me was a reason to get to the gym at a particular time. All that changed with Bindu, who has helped me realize what I was capable of doing–with proper form. She is a patient teacher, able to adapt her instruction not just to different people (she trains several of my friends) but also to a single individual as circumstances warrant. Maybe the best way to say it is this: there are days I wish she had a boss so I could write a letter of commendation for her personnel file. 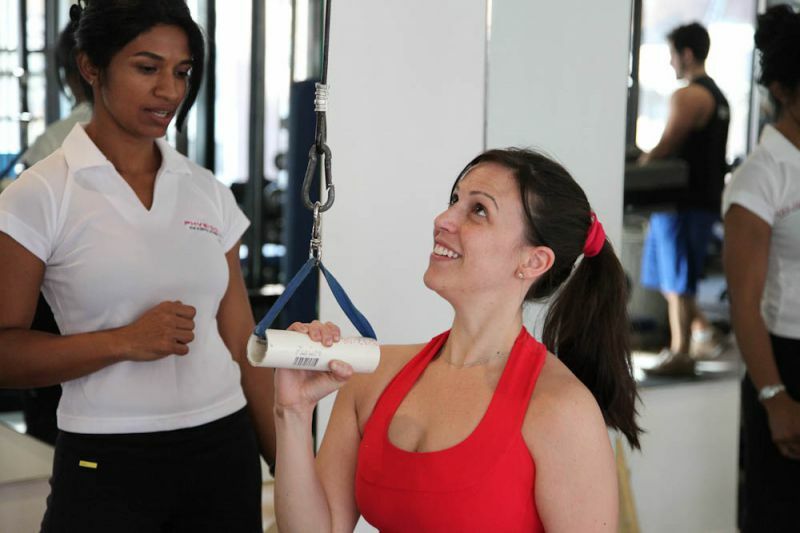 I have worked with other trainers and Bindu stands out for several reasons. She is always alert and engaged as we work, coaching and guiding to make me do my best. She keeps it interesting by adding new exercises, mixing it up. Working with Physiqology and Bindu has been wonderful! My apartment building has a small fitness room and I did not know how to use many of the machines, nor the proper way to work out. Bindu creates programs tailored to what is available in the fitness room, as well as to my needs. I am overweight and over 50 and for my good health, working with Bindu has been essential. Meeting with her keeps me on track to work out. I find the routines hard and challenging. She changes them often. Yet, when I am done with a workout, i feel terrific. I have lost some weight but importantly, I am stronger. Since I walk a lot and use the subway, keeping in shape is very helpful for the hills, avenues and stairs of New York. A variety of plans are available too. Wonderful experience working with Bindu. Her care, her focus, and her knowledge far surpassed what I’ve experienced with other personal trainers. Not just for strengthening my aging body but also in giving me a greater understanding of what I can do to keep myself in the best shape possible. You’re not going to find a more dedicated trainer. About 6 months ago, it was determined that I would most likely need knee replacement surgery on my left knee…At that time, I approached Bindu (with whom I had already been working) and asked if she could practice specific leg strengthening exercises with me that might be helpful with my recovery from this surgery. Bindu provided me with a series of such exercises and worked with me to assure that i was executing them properly. I added several other exercises to her regimen that had been provided by a physical therapist and practiced them all assiduously on a daily basis. The day after surgery, the physical therapist at the hospital did some measurements to serve as a base line for my progress. Surprisingly, my leg extension at that time was 0 degrees (perfect extension) and my ability to bend my knees was 93 degrees. I asked them what the latter figure meant and they informed me that by the time someone is discharged from rehab. (the extra 6 days beyond hospitalization) they are expected to be able to bend at 90 degrees. This pattern of being way ahead of the curve continued. When I was about to leave rehab., the physical therapist there also took measurements and my ability to bend my knee was now 115 degrees on my own and 125 degrees with help. (The average person can bend 135 – 150 degrees) .She stated that she had never discharged anyone who could bend or extend that far. Lastly, my physical therapist was likewise amazed. She asked me, on my first visit, to stand on he operated leg and lift the other one up. After counting to 100, she suggested I lower it. I believe, as do others who worked with me, that were it not for the exercises that Bindu recommended and practiced with me, the trajectory of my healing would have been quite different. I owe a great deal to her thoughtful and informed teaching. Working out with Bindu is truly the best part of my day. She works me hard, but is always changing things up so that I never get bored during our workouts. Not only have I seen great results, but I have fun doing it! Gyms can be intimidating for anyone, especially women, but Bindu has taught me how to use the equipment, safely and effectively. I’ve improved my endurance, strength and eating habits, since I’ve started seeing Bindu. She is truly the best personal trainer and I would recommend her to anyone!